Friends of Parks are to be commended on their voluntary work that helps support the green spaces for the wider community to enjoy. Friends dedicate their time to doing the work of monitoring and maintaining parks that in the past would have been paid employment from the Local Authority. It is therefore disappointing to learn that Friends of Bury Lodge Park, who had offered to work with the Council to maintain and improve a natural piece of land for the benefit of the community had their offer rudely rejected. 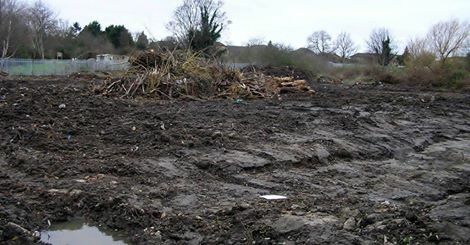 The Local Authority have supported Thames 21 into turning an oasis for wildlife and habitat into a wasteland. The new proposals for the land are hoping to recreate something that nature had already established. The Council rely on these groups to maintain parks and recreational areas and should be working in partnership with them and not be ignoring their views and contributions. The Council claim to consult residents but they should review their methods as residents at a recent ward forum made it clear that they had not been consulted about changes to Council land.